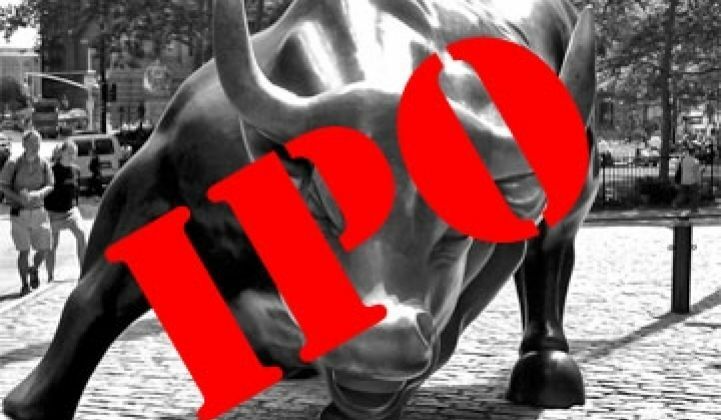 Here’s hoping that the next batch of Greentech IPOs look better than the current pageant. These companies to follow actually have real products, serious revenue and the prospect of profits in high-growth markets. Bloom Energy has a great story, revenue from the sales of its Bloom Boxes and marquee customers including Cypress, Google, FedEx and San Francisco's SFO Airport. The company's Solid Oxide Fuel Cells (SOFCs) are an alternative to diesel gen-sets in the off-grid world and to the electric grid in the developed world. The fuel cells run on natural gas which, in the view of some, makes the value proposition fragile. But a strong team, veteran investors and a big narrative make this a firm to watch, profitability and value proposition notwithstanding. Bridgelux has emerged from the pack of LED start-ups with a solid product roadmap and a CEO (Bill Watkins) familiar with the scale-up issues surrounding tech companies. The firm is aiming at the commercial market, avoiding the coming residential bulb bloodbath. Still, Bridgelux must compete against Philips, Osram, GE and other companies with over 100 years of experience and mature sales channels all over the world. Reliable sources at the Director level inform us that revenue is in the high tens of millions. BrightSource Energy is the leader in the solar thermal startup world -- now that the Ivanpah CSP plant has been given the green light. That's hundreds of megawatts of power under contract and gigawatts of power in the pipeline. An enormous $1.37 billion federal loan guarantee has been won and investors, developers and EPC personnel are in place. But revenue doesn't flow until power flows which explains the company looking at Thermal Enhanced Oil Recovery (TEOR) as a shorter term revenue source. Enphase has shipped more than 300,000 of their microinverters, carved out more than a 10 percent US market share in Q1, according to the CEO, and has a strong balance sheet -- partially from a recent funding infusion from Kleiner Perkins. The inverter and microinverter market is growing fast and Enphase is the microinverter leader. Reliability issues seems to be well-addressed although gross margin questions remain. They have made a tentative foray into the consumer-facing smart grid with an automated thermostat, looking to leverage their platform into other markets. Intematix produces a product that makes LEDs work. Their phosphor materials enable LEDs for general illumination to achieve good quality light and efficiency. Reliable sources indicate that the company is generating revenue in the "tens of millions." And the LED lighting market is at an interesting tipping point. OPower is an energy efficiency company focused on customer engagement and behavior modification, currently providing tens of thousands of homes with in-home energy data and efficiency advice via paper reports or online. The platform is described as advanced customer engagement. The firm says about 85 percent of their customers will cut power consumption by around 3.5 percent. The customized data lets people know much energy they're using in comparison to their neighbors and then follows it up with a course of action. Revenues exceed $30 million according to sources at the firm. Serious Materials has yet to build a commercial-scale factory for its green drywall but is selling tens of millions worth of thermal windows. Rumors are that it will try next to move into other markets for building products such as insulation and home management controls. CEO Kevin Surace has talked about this for years, and an IPO would give him the cash to expand. 2009 revenue was reported in the $50 million range. Silver Spring Networks' S-1 filing is rumored for the fall of this year. Silver Spring has won multimillion-dollar contracts in California, Texas and Australia for the mesh networking systems that connect meters to utilities. They've hit a few speed bumps with the PG&E smart grid backlash and there are profitability concerns but the revenue bar seems to be reached to allow serious consideration of the public offering. Solar City has raised $60 million in tax-equity financing from PG&E, a $90 million fund with U.S. Bancorp and the backing of premier VCs. 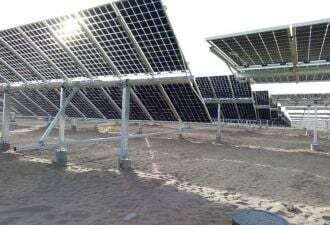 The firm started its existence looking to add efficiency to the solar installation process. It then moved into financing and leasing the solar systems for residential rooftops. And it has just added energy efficiency services to its competencies through its acquisition of Building Solutions. It has significant revenues from its operations in Arizona, California, Colorado, Oregon and Texas but, like other service industries, is faced with the challenge of how to efficiently and profitably scale the business. Suniva, as reported by GTM Research analyst Shyam Mehta, began commercial production of its monocrystalline cells in late 2008 and "unlike many struggling PV startups that entered the market around that time, the company has gone from strength to strength over the last 18 months" with "one of the quickest production ramps of any Western PV company." Suniva went from an initial 32 megawatts to 96 megawatts to a current 170 megawatts of cell capacity, and is sold out for 2010. The company has its own paste and texture recipes, is able to customize and optimize every layer of the cell design to its own specifications, and has leveraged its considerable R&D experience to optimize each processing step to a high degree. While Suniva is clearly not going to overtake SunPower or Sanyo any time soon, reports suggest that the company has a much better cost structure compared to these two players, one that is more in line with low-cost manufacturers. That, combined with its current efficiency advantage over other firms, makes it competitively positioned for right now. A 19-percent-efficiency cell is in the works and should maintain competitiveness in the near future as well. "The key question is whether the company can maintain this advantage going forward, given that major Chinese players are hell-bent on playing catch-up," according to Mehta.